July 5, 2018 (Source) — Giyani Metals Corporation (TSXV:WDG) (GR:A2DUU8) (“Giyani” or the “Company”) is pleased to provide initial drilling results from Phase 1 of its 2018 operational program and an update on the work progress of resource estimation and hydrometallurgical testing of the Company’s manganese prospects in Botswana. Geochemical results of the samples collected from the first holes drilled at K.Hill have been received. Table 1 below shows some results from 7 holes; DDKH18_0001, -0004, -0007, -0010, -0011, -0012, and -0014. Only the oxides of interest, MnO, Fe2O3 and the deleterious element P2O5 are listed here due to their significance in the formulation of battery grade products. It is expected that a grade of 30% MnO will result in favourable hydrometallurgical test result. Table 1: Highlights of higher-grade intersections. The geochemical results from the first drill holes confirm the thickness of the manganiferous shale horizon at K.Hill. The representative sampling from the K.Hill drill cores provides Giyani with a true vertical section of the mineralized horizon. A preliminary cross section can be drawn using the logging data, highlighting the orientation and thickness of the mineralized horizon. See Figure 1 below. Drilling at the Otse Prospect was completed recently with four holes drilled in the southern block and three in the northern block. As the actual metres drilled at both K.Hill and Otse amounted to less than the total meterage planned for those two Prospects, Giyani is in a position to allocate the remaining drill metres to its third Prospect, Lobatse, which was not originally included in Phase 1. This exploration drilling will improve the Company’s understanding of the geology and the type of manganese mineralization at Lobatse. Drilling at Lobatse commenced recently with three holes planned for up to 425 meters in total. The holes will be drilled at a 60-degree angle to attempt to intersect the dipping mineralization at a 90-degree angle. MSA conducted a site visit on the 7th and 8th of June 2018. The purpose of the visit was to inspect the field and data capturing procedures and ensure that it is in line with industry best practices. During this audit, MSA visited the completed drill hole sites, core logging and sampling sheds, and inspected the sampled cores. Field procedures and techniques were found to be in line with industry best practices. Once all geochemical results are received, Giyani will deliver all the required data to MSA for the volumetric analysis, 3D modelling and estimation of a resource. Hydrometallurgical testing of four samples from K.Hill and one from Otse commenced in early June and is expected to take approximately two months to conclude. The purpose of this test work is to determine the appropriate leaching methods, recoveries, residence times and to identify the dissolved metals. This is the first step of defining an eventual hydrometallurgical process that will be composed of leaching and purification with additional steps to produce the final battery grade manganese products. This information will be used to design and build a small pilot circuit that will, in turn, supply small-scale production for battery assessment tests and generate engineering and operational data for a full-scale plant. The Company has been approached by, and is in discussions with, a number of market traders and end users of high grade manganese material for the steel market. While the sale of raw manganese material is not the Company’s long term goal, as it continues to focus on the BEV market, the Company is currently exploring options to exploit the stockpile and other surface material that it has been able to identify within its licence areas. 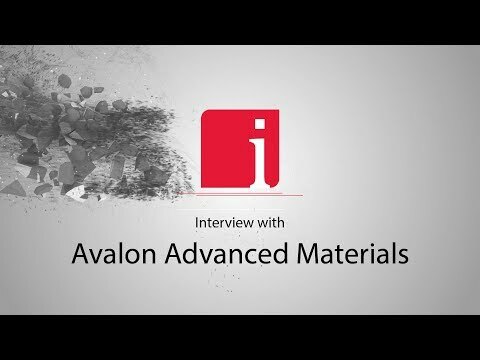 In addition, this material is currently being surveyed to determine its volume, and tested to establish exact specifications prior to discussing pricing terms with potential purchasers of the material. The Company will continue to update the market as these discussions progress, including the necessary engagement with the government. Drill core was sawn in half and one half was sampled and placed in a plastic bag along with a sample tag. Bags were sealed with a single use tie. Samples were securely stored prior to shipping to SGS laboratories in Randfontein, Johannesburg, South Africa. Samples were crushed and milled prior to analysis by borate fusion and XRF. The Company routinely submits standards, duplicates and blanks with sample batches to monitor the quality of the assays. Roger Moss, Ph.D., P.Geo, is the qualified person, as that term is defined by National Instrument 43-101, on behalf of the Company and has approved the scientific and technical content contained in this press release. Giyani Metals Corp. is a Canadian based junior exploration company focused on creating shareholder value by accelerating the development of its high-grade manganese project in the Kanye Basin, Botswana, Africa. 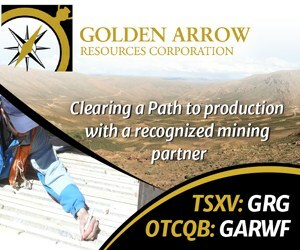 Additional information and corporate documents may be found on www.sedar.com and on Giyani Metals Corp. website: http://giyanimetals.com/. On behalf of the Board of Directors of Giyani Metals Corp. This news release may contain forward-looking statements including but not limited to comments regarding the timing and content of upcoming work programs, geological interpretations, receipt of property titles, potential mineral recovery processes, the financial picture of the Company etc. Forward-looking statements address future events and conditions and therefore, involve inherent risks and uncertainties. Actual results may differ materially from those currently anticipated in such statement.